If you are serious about your physique, you’ll seriously want to give this supplement a look. BCAA: The name may sound like the answer to a grade school puzzle, but there’s truly nothing puzzling about this powerful supplement. BCAAs, or branched-chain amino acids, are essential nutrients obtained from food sources such as dairy, legumes and meat. There are three main types of BCAAs: Leucine, isoleucine and valine. They can be used to treat numerous diseases, including those affecting the liver. They’re also commonly used by gym-goers to prevent fatigue, increase lean muscle mass and even fortify their immune system. Because branched-chain amino acids are obtained externally and cannot be made by your body, many opt for BCAA supplements to improve their body’s overall function and the quality of their workouts. These supplements can be especially beneficial for athletes just starting out and struggling with workout endurance issues. Of course, the benefits that we’ve already mentioned are really only the tip of the iceberg. The fact is there are many other reasons why you should consider adding a BCAA supplement to your day. What are they? We’ll detail nine of the top reasons why you should consider supplementing with BCAAs. One of the most popular uses for BCAAs is preventing fatigue during exercise. BCAAs can be especially powerful and useful when an athlete is just starting out. With that said, the reality is that exercise fatigue can strike anyone. One study published in The Journal of Nutrition found that BCAA supplementation improved athletes’ perceived exertion and mental fatigue after a 30-kilometer race. Researchers also found that it improved participants’ performance on a cognitive test taken after the race. Some even experienced an improvement in physical performance. For fitness junkies, one of the greatest benefits a supplement can offer is muscle protein synthesis. Not only does research published in the American Journal of Physiology indicate that BCAA supplementation prevents the degradation of muscles – the importance of which we’ll get into a bit later – but, according to Swedish researchers, it also produces anabolic effects on people in the post workout recovery period. We all know that proper nutrition is key in keeping us from getting sick and making surprise trips to the doctor. After all, an apple a day keeps the doctor away, right? What you might not know, however, is that BCAAs could play an important role in your immunity. Japanese researchers found that the mere presence of BCAAs have the ability to restrain the proliferation of liver cancer cells. The study, published in the World Journal of Gastroenterology, also discovered that people with advanced liver diseases were positively affected by BCAAs. Because BCAAs prevent central fatigue (or fatigue of the central nervous system), they can really make a difference in an athlete’s physical performance. Research has presented conflicting findings, but, some studies, including one published in the journal, Amino Acids, has shown that athletes supplementing their diets with BCAAs experience less mental and physical exertion and perform better even in the heat. If you live in a warm climate and are not currently supplementing with BCAAs, you might want to consider adding them to your supplement regimen. There are many reasons why aging men would benefit from the use of BCAAs. Among them include their fat-burning effects, protection of lean muscle and also the relationship between these amino acids and hormones. 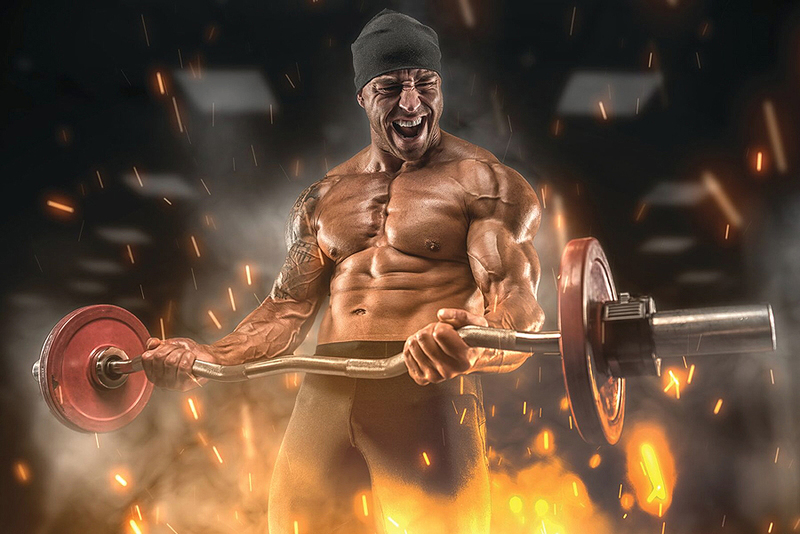 Research based at the College of Charleston in South Carolina has shown that amino acid supplementation has the potential to significantly raise testosterone levels, during and in the period after resistance training. Is there no mountain you can’t climb? If so, you’ll definitely be interested in this research. It was discovered that people who are trying to lose fat and keep their muscle might really benefit from supplementing with BCAAs. Influenced in part by research conducted on Mount Everest climbers, researchers believe that athletes who are going through a period of lowering their caloric intake may experience greater fat loss while using BCAAs. The best news? You’ll be able to maintain what you really want – your muscles. The climbers in this study were especially at risk for muscle loss while they were consuming low-calorie diets and climbing at high altitudes, and researchers are hopeful that the results could apply to climbers and non-climbers alike. BCAA’s lean muscle protection and building effects make them especially useful for aging adults. As we get older, it becomes more difficult to remain as active as we once were, and it’s important to maintain as much of our muscle capabilities as possible. After all, nobody wants all that grueling effort at the gym wasted. And, if at all possible, we all want to prevent a decline in our health for as long as possible. In a study on mice published in the journal, Cell Metabolism, rodents who were given a mixture including branched-chain amino acids lived significantly longer than the control group. How much longer? Does 12 percent longer sound good enough? Researchers think these supplements could be part of a great preventative strategy for aging adults to maintain their health. It should be noted, though, that BCAAs are not marketed to cure diseases or increase life expectancy. When you lose weight, it isn’t only fat that can take a hit. Your lean muscle mass can also suffer. But, it doesn’t have to. Why? Supplementing with BCAAs could almost act as an insurance policy for your lean muscle mass. At least that’s what Mayo Clinic researchers in Minnesota have suggested. The researchers indicated that people who supplement with BCAAs during periods of weight loss are able to preserve more of their lean muscle mass. They also stated that BCAAs also serve as an effective tool in healing wounds. Following a particularly strenuous workout, it’s not uncommon to feel some degree of muscle soreness. That’s a given and for many it’s actually a very welcome feeling. After all, no pain no gain, right? But, wouldn’t it be great if you could make the same gains without the accompanying soreness? You can! Research based out of the University of Birmingham in the United Kingdom and published in Medicine and Science in Sports and Exercise confirmed that supplementing with BCAAs appears to result in a decrease in flexed muscle soreness in the 48 hours following a workout. As with most supplements, there is varying information concerning the potential benefits and effects of BCAAs. While some benefits have a significant amount of evidence backing their use, others require much further study for verification. On the other hand, BCAAs have been clearly shown to benefit athletes who are trying to maintain their muscle mass, especially while losing weight. And, these supplements have also been found to be extremely safe with minimal side effects. If you’re on the road to a fitter, better body, or if you simply want to maintain the fruits of your endless labor resulting in your massive muscles and stellar strength, then supplementing your diet with branched-chain amino acids is likely to be a choice you want to strongly consider.